Say hello to Dooie who was the happiest, friendliest boy and much missed by his family. 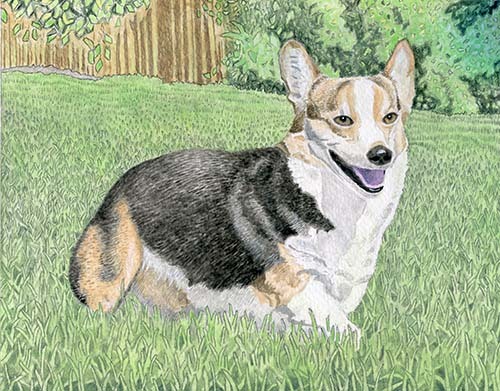 This memorial portrait will be a cherished reminder of their beloved Corgi. 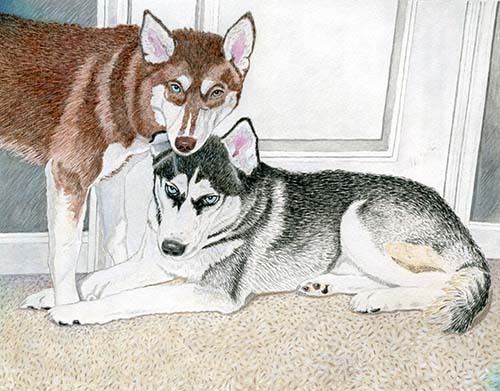 Meet Onxy and Ember, these New Jersey Huskies captured beautifully in this portrait for a very special birthday gift.